When it comes to the psychological disorder, the list is long and there exists many psychological disorders. Schizophrenia is one among those which has been spreading rapidly but if proper counseling will be done at proper time the schizophrenia can be avoided. However for a common man the word schizophrenia is like a wonder word and he might not have any idea about the illness. Here we will educate the common man about the various aspects of schizophrenia and the phenomenal counseling to this illness by our extremely specialized psychologist D Koteswara Rao. Schizophrenia is a kind of psychological disorder where the patients will have very difficulty in distinguish between what is real and unreal, think clearly, manage emotions, relate to others, and function normally. Once a person comes to the fold of schizophrenia the living of the person will be very difficult. Though the main reason for schizophrenia has not been zeroed on, still many of the scientist have came to a conclusion that heart disease, result from an interplay of genetic, behavioral and other factors may be the causes behind schizophrenia. Whatever be it the illness has to be cured and we are here to cure you. Our psychologist D Koteswara rao will make sure that you are living a healthy life. Here are the common symptoms associated with schizophrenia, If you are having any of the below mentioned symptom rush to Neha counseling and psychological center. We will make sure you will have a peace of mind. 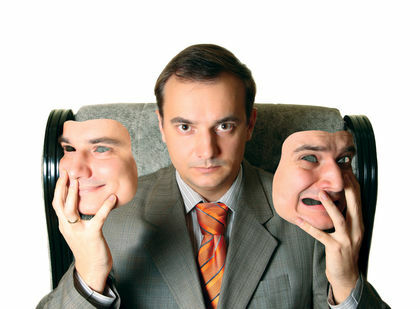 If you are having schizophrenia it is always advised to consult a psychologist well in advance. And if you are consulting your renowned psychologist D Koteswara Rao, certainly you are in safe hand. We at Neha counseling and psychotherapy center will make sure that all our clients are going through the basic core treatment of counseling. It is bitter, but still it is true. In India many of the patients shows reluctance to consult a psychologist when they are suffering from the schizophrenia. May be it is their social status or personal choice or they don’t want to be noticed in the society. But our psychologists always insist to consult when you are suffering from the schizophrenia. Here at Neha counselling center and psychotherapy center we have a track record of cent percent. We will not leave any stone unturned to cure the schizophrenia. In fact all credit must go to our awe inspiring psychologist D Koteswara Rao. Since the beginning of his career, he has cured numerous patients by his phenomenal counseling method. Any patients getting counseling from D Koteswara Rao can have a peace of mind that the schizophrenia can be cured well in time. Here we would love to inform all our clients that for treating the schizophrenia we follow psychotherapy, behavioral therapy and social therapy methods. Step in to Neha counseling and psychotherapy center and went out with a life without the schizophrenia.